Speaking in terms of popularity, no SUV has been subjected to aftermarket modifications quite as often as the Porsche Cayenne. Somehow, there’s something about this SUV that draws tuning companies from all over the world to it similar to how a moth gets drawn to a flame. 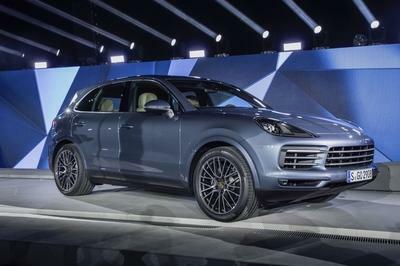 But unlike the unfortunate moth that gets burned when it comes too close to the flame, the Porsche Cayenne has reaped the benefits of all these modifications, so much so that it’s hardly surprising anymore if a new tuner comes out and introduces their new package for the SUV. This is where we find ourselves after FAB Design released a new bodykit conversion for the Cayenne, one that features a strong dose of aggressive aesthetics and aerodynamic improvements. Among the modifications FAB Design gave the Cayenne includes a new front spoiler with larger air intakes, a new and vented engine bonnet, new side skirts, wider fenders, a retooled rear bumper that comes with an integrated diffuser, four trapezoidal tailpipes along, plenty of carbon fiber to go around, and a set of 22” multi-piece double-spoke forged alloy wheels. The interior also gets dressed up with carbon fiber inlays, Alcantara and leather trims, and aluminum applications. While the package mostly consists of aerodynamic and aesthetic changes, FAB Design made it a point to give the engine a little tweak of its own, giving it an additional 50 horsepower and 100 Nm of torque, raising the SUV’s total output to 550 horsepower and 800 Nm of torque. Overall, FAB Design’s new package for the Cayenne just goes to show how hard it is to come up with a unique program for an SUV that’s as "tuner friendly" as the Cayenne. On that end, the tuning firm did about as good a job as we’ve seen in quite some time. Most probably, this car is not a typical sports car so i don’t think that it needs plenty of power. I do believe that for a daily used car 50 hp is just enough. When was this happened? I totally missed it! From its exterior, it clearly shows how fascinating it is. Aside from the chassis that said all parts were made of carbon fiber, definitely you will also fall in love with its interiors. It sort of has that military feel to it, maybe because of the color choice. Nevertheless, the color actually suits the Cayenne well, since it highlights its raw power. This one really looks superb, nice way to improve on the Cayenne. 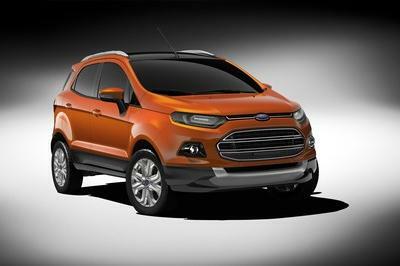 I really like the color that they used on this one, and the engine also is quite impressive.